Hi lovelies, for those of you who celebrate Christmas I would like to say Happy Merry C-day for you! Meanwhile, as you can see in the photo above I have a FABULOUS GIVEAWAY for you! Have you heard of http://www.dressale.com/ ? It is one of my new favorite online shopping place to browse around! They have the best selection of beautiful on-trend dresses, shoes, jewelry and more. You will be thrilled entering into their website since they have quite many collections. 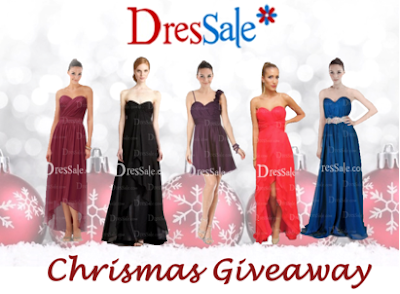 And the rest of you can join the giveaway with a chance of winning an amazing dress worth of $200 from DresSale too ! Hey,I've followed all the steps,but I'm quite confused about the link to choose our own dress. We can only pick one,right?And if we want to choose we should click the free trial button? Thank you yuri for lovly giveaway . follow you twitter, bloglovin, and subscribe your blog also. I have followed all the steps. Thank you for this giveaway!